Walk with me through a memory. The smell of hot buttered popcorn and funnel cakes wafts around, hugging you in a cloud of delectable goodness. The sound of children screaming echoes about, yet their screams are of joy, not fear. With their hands high above their heads, the kids circle around in faster and faster intervals.Their bright smiles getting wider with each cycle of the ride. People cheer as they win prizes at the various stands. In the distance, a girl blushes as her crush takes the risk and stretches his arm around her at the peak of the ferris wheel. Suddenly, a man 12-feet tall takes a sweeping step right over your head! A cheeky grin spreads across your face when you spot the stilts under his fluorescent red pants, blown gently by the wind. Clowns, jugglers, and mimes dance about, spreading joy to the masses of smiling faces. You can’t help but to let out a laugh as you’re consumed with giddiness. You are a kid at the carnival, and you never want this feeling to go away. Guess what? Just because you’re in college now or have a job to pay the bills, the exhilarating feeling from the carnival doesn’t have to be left as a distant, nostalgic memory. You can relive every last bit of it! Here at Celebration Source, we are strong believers that although growing older is just an irrefutable part of life, it doesn’t mean that growing up has to be. We specialize in providing all of the games, rides, and food your next party or event needs, and we’re not only talking about children’s birthday parties! So you’re studying how to make it in the “real world”? The homework, midterms, essays, and overall confusion of what comes next can feel like a heavy burden that may never subside. Give yourself and your peers a break from the stress and have Celebration Source provide you with some unforgettable memories with a college carnival party. Whether it’s a fraternity or sorority event, homecoming, graduation, or just an opportune time to let loose and release your inner child, we’ve got your back! We’ll bring the party to you with carnival food, games, and rides geared towards college students! Got a daredevil side? We have a 100-foot zip-line that will knock your socks off, and our Big Platform Jump Off guarantees to give you a thrill. Just because everyone else is calling you an adult now, doesn’t mean you have to listen! 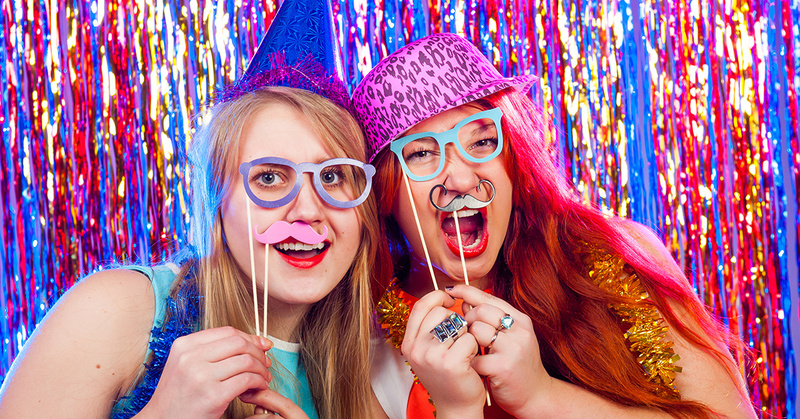 Call us today and plan a party that all of your friends and peers will never forget! Oh, the last section didn’t connect with you? You’re out of college, in a career, doing grown-up things, eh? You say there’s no way Celebration Source provides carnival games and joy for the likes of you and your co-workers. I mean, society says you must act the part and never let your inner-youth free. Wrong! Unhappy employees leads to an unhappy business, and that’s never a good thing. 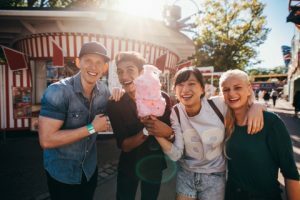 We provide employers the opportunity to engage and connect their employees through our carnival food, games, and rides! Whether you just want the lunch break to have some unparalleled excitement, or you wish to have a full-blown corporate carnival, we’ve got what it takes. Offering a multitude of carnival fun and team building exercises, there won’t be a frown to be found when you let Celebration Source work with you to throw the ideal company event. How could any employee dislike a job that throws a carnival? The answer is, it is not possible. Contact us today and let’s get this party going!